Swan neck presses - one of the presses manufactured by G.M.R., with welded steel frame, fixed work platform (bench) and moving plane (mace) for approach and machining phases, through a hydraulic cylinder. Return via two side cylinders, 4- post. Framework: made with whole Fe510 welded steel sheets; machined on numerically controlled boring machines, excellent planarity and parallelism tolerances between planes. Hydraulic cylinder: designed and manufactured with "double-acting" technique. Casing is a Fe510 steel tube, completely turned, lapped internally, with threaded and welded base. The piston is fully drawn, turned, chrome plated and modified to limited tolerances. The gaskets are double-acting, the driving strips guarantee excellent smoothness and longevity. 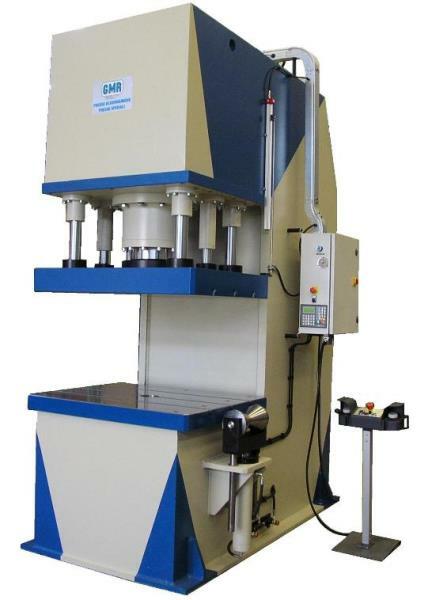 Side cylinders (fast approach and movement of moving plane): the casing is a Fe510 steel tube, fully turned, lapped internally, with threaded and welded bottom, removable rod-side flange. The piston is fully drawn, turned, chrome plated and rectified with limited tolerances. The gaskets are single-acting, the guiding strips guarantee excellent smoothness and longevity. Drive: all drives are obtained via PLC-controlled power distributors. Pump assembly: double fixed flow pump, valve block-operated. 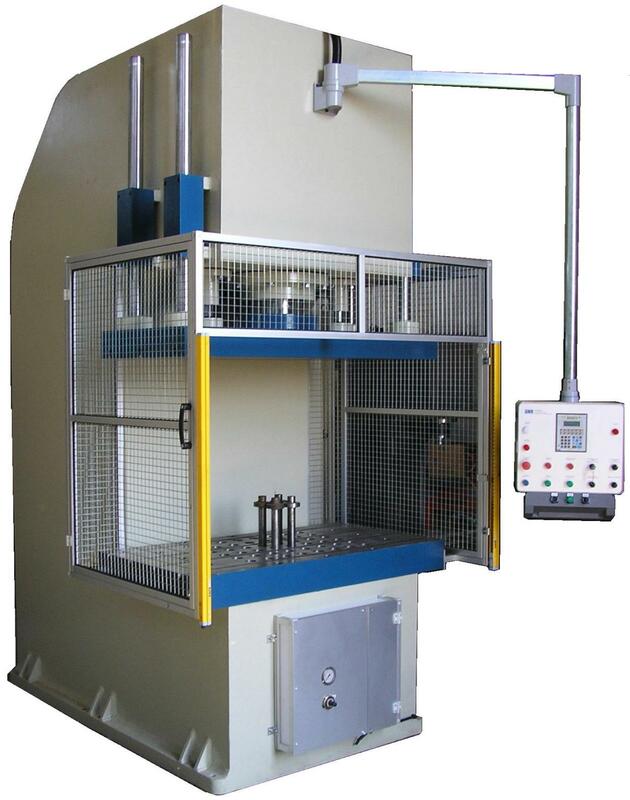 The press is designed and manufactured in compliance with all EEC safety regulations (2006/42/EEC 98/37/EEC 89/336/EEC) using the best components available on the market in all its parts.